The Magellan Jets Flight Support Team is available 24/7/365 to make your travel experience as seamless as possible. Creating itineraries, planning your schedule and tracking your flight are all things that you do not have to worry about. Even ground transportation upon arrival will be taken out of your hands so your only worry while traveling is what to do when you get there. Being able to work efficiently while in the air is one of the most important factors to maintaining productivity. 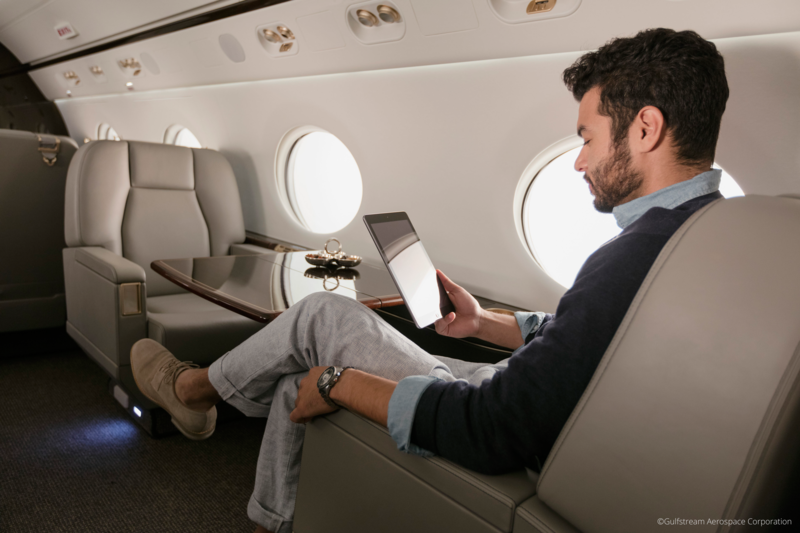 More often than not, WIFI connectivity is available on your jet of choice, but it’s always important to double check. It is a good idea to download all documents offline just in case WIFI is not available. 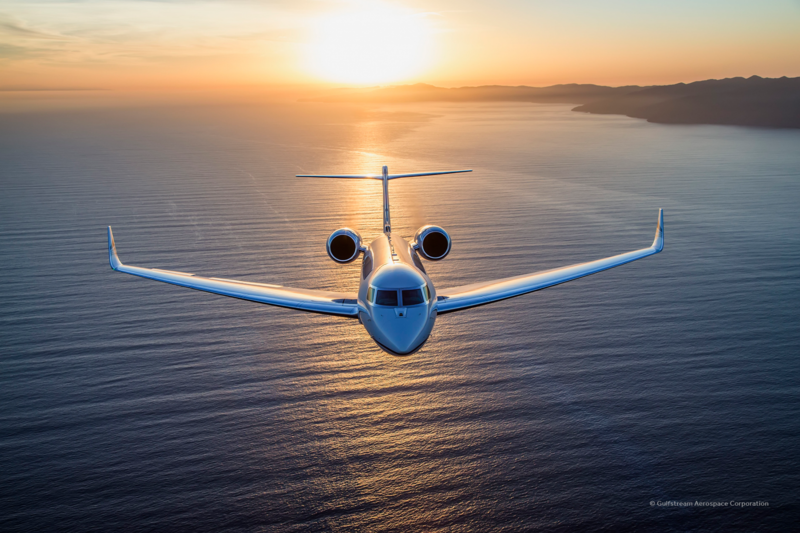 Private travel gives you a big edge when it comes to accessing hard-to-reach clients. The fact is that some commercial airports are simply not easy to get to. A meeting held far at a manufacturing campus way off the urban map, for example, can require two flight changes and layovers when flying commercial. Private Fixed FBO’s (Fixed Based Operator) get you much closer to those destinations. This is an important consideration for roadshows, as it makes it possible to hit several destinations in a day or two. Cabin pressure makes a big difference in how well rested you are when the flight is over. Some aircraft prioritize keeping the cabin at lower altitude pressure, which creates a more normalized oxygen flow. 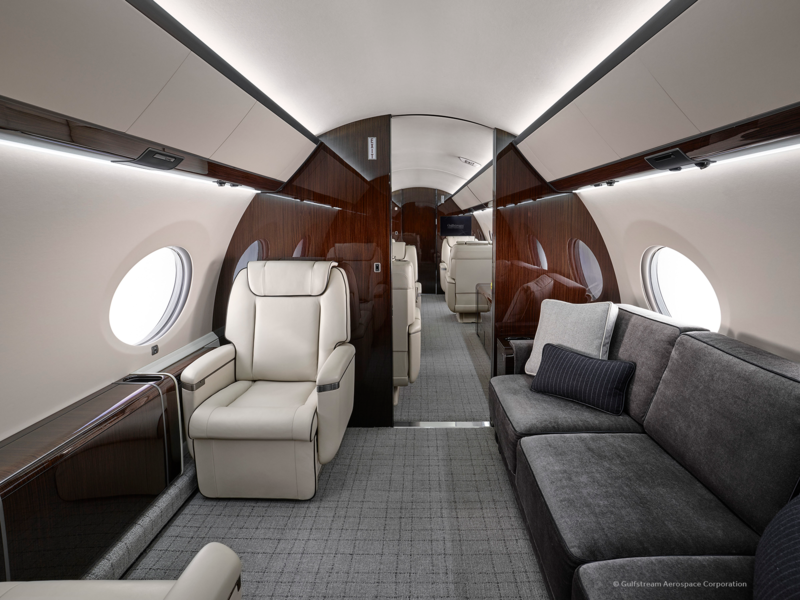 The Gulfstream G650, for example, has the lowest cabin altitude of any business jet and replenishes 100 percent fresh air every two minutes. At flight level 41,000 feet, the cabin is pressurized to 3,000 feet – twice as low as commercial airlines. That means your body doesn’t have to work as hard to stay alert and refreshed. Executives can’t afford to use travel as an excuse for being unproductive. If you are headed out on business, be sure to plan smart and stay efficient in the air.